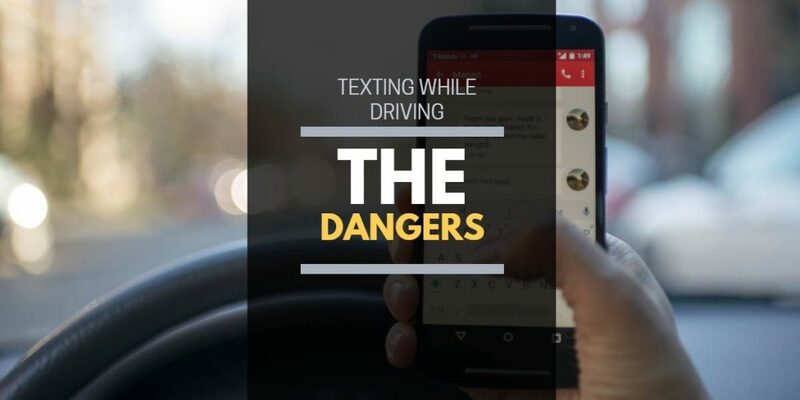 Did you know that texting while driving is considered more dangerous than being at the legal drink limit or under the influence of cannabis when behind the wheel? According to research undertaken by the RAC Foundation, texting while driving slows reaction time by a whopping 35%, whereas the legal drink limit leaves drivers 12% slower and cannabis reduces reaction time by 21%. It’s important to note that a slower reaction time can have deadly consequences. Research has revealed that nearly 6 in every 10 crashes that involve teenage drivers are caused by texting and other distractions on the road; and on average, around 1 in every 8 accidents is caused by a driver using their smartphone. Studies have also found that you’re 4 times as likely to crash a vehicle if you are using your phone at the wheel. Whilst these statistics might sound scary, the resulting crashes caused by texting while driving are utterly harrowing and leave behind thousands of devastated friends and family members every year. Even if you think you’re being careful, deciding to glance at your phone for just a few seconds while you’re driving can result in a crash. It is against the law to use your phone while driving. This includes texting, typing song names into YouTube or Spotify and scrolling through your Instagram and Facebook feeds. This applies when you’re at a traffic light and even includes the use of GPS apps on your phone. If it’s handheld, it shouldn’t be used when you’re behind the wheel. If the police catch you using your handheld phone while you’re driving, you will be given 6 points on your licence and a £200 fine. The added points to your licence will also cause your insurance to increase in cost. You could even lose your licence if you’ve passed within 2 years of getting caught, as getting 6 points on your licence in your first 2 years of driving will result in the loss of your licence. If you would like to send a text while driving, park up and turn off the engine first. The only acceptation to this rule is if it’s an emergency where it would be unsafe to pull your vehicle over. In this case, if you need to call the police or an ambulance, you may use your phone.